Lepat Pisang and Pulut Dakap. These are my favorite treat. My grandmother used to make this back home. Actually I like everything with bananas. I made this a few days ago. 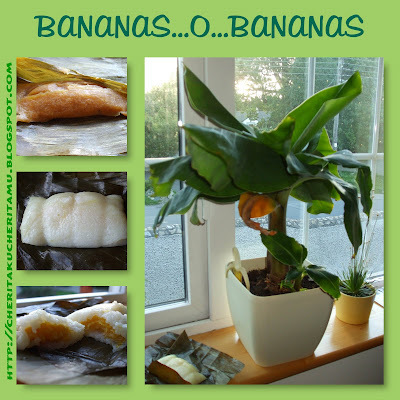 For lepat pisang recipe, I took from Rinn Chan's fp. For Pulut Dakap, I will post the recipe next time, insyaAllah. Enjoy my banana tree - Musa variety... dah beranak pinak dia..hehe.